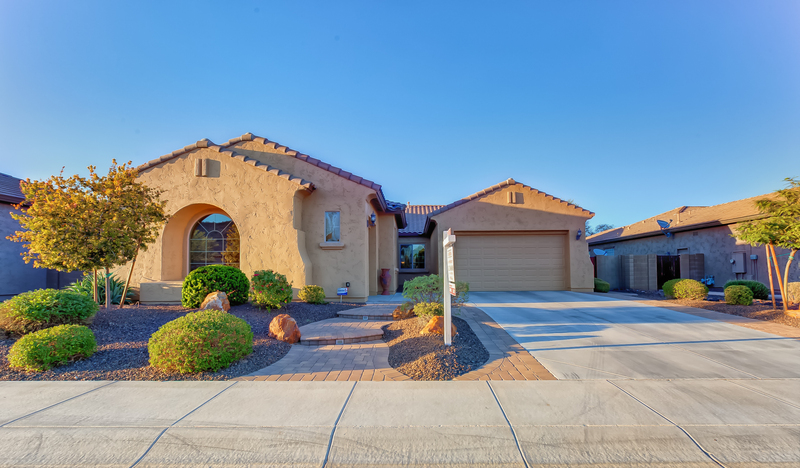 5540 W Buckhorn Trail is an impeccably maintained single story, 3 car garage home located in the highly sought after Stetson Valley Community. The 3 bedroom 2.5 bath home has 2336 sqft. of impressive living space. Step inside and admire the soaring ceilings, fresh paint, and beautiful upgrades this home has to offer. Down the hall you will notice the main living space and chef’s kitchen. The kitchen is equipped with fabulous upgrades; stunning stainless steel appliances, double ovens, massive kitchen island, eat-in kitchen, brand-new dishwasher, and beautiful tile back splash! Each bedroom is perfectly sized with clean cozy carpet. The master suit boats a massive walk-in closet, separate tub and shower, dual sinks, and a toilet behind closed doors. There is even a private exit into the backyard from the master bedroom. This backyard is beyond beautiful. 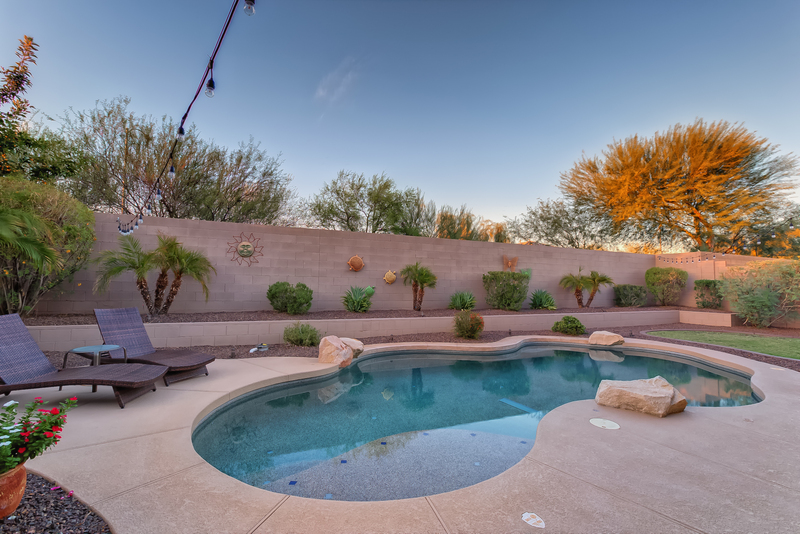 It features a sparkling salt water pool, above ground spa (that convey’s with the sale), and an outside shower. You can enjoy this artfully designed landscaping from the covered patio. Come see this new home TODAY!